Salvador Dali The Old Hippie is available as part of the suite. 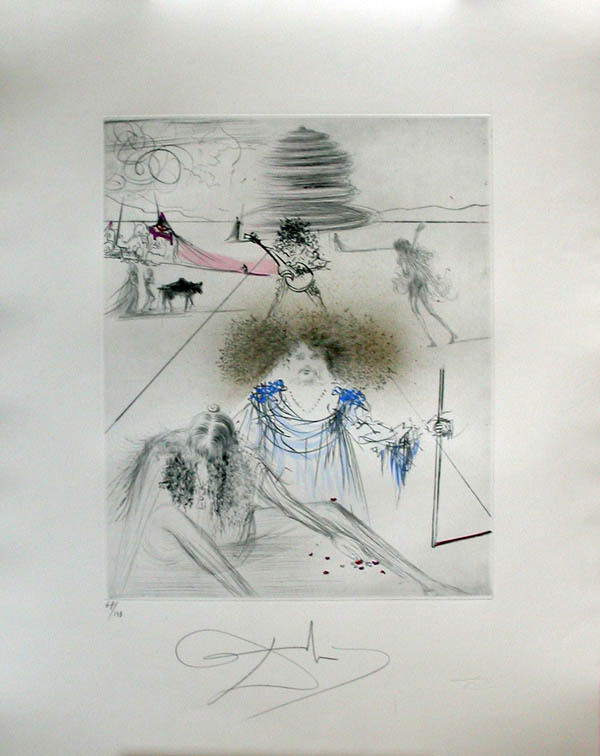 Salvador Dali The Old Hippie is an etching from the Hippies suite. Graphic Europa Anstalt published the suite in 1969. The edition is 245 + proofs which is small for Dali. Many times the suite was split so the buyer could purchase a single etching from the suite. We are not splitting the suite. However, the complete suite is available. 1) The complete portfolio of 12 drypoint etchings is loose as issued. This is a very fine example of this rare suite. This set is Available!!! 2) The complete portfolio of 11 drypoint etchings is loose as issued. The etchings are in a print case. The set is Available. E-mail for Price and condition report. Call us for more information. regarding Salvador Dali The Old Hippie.